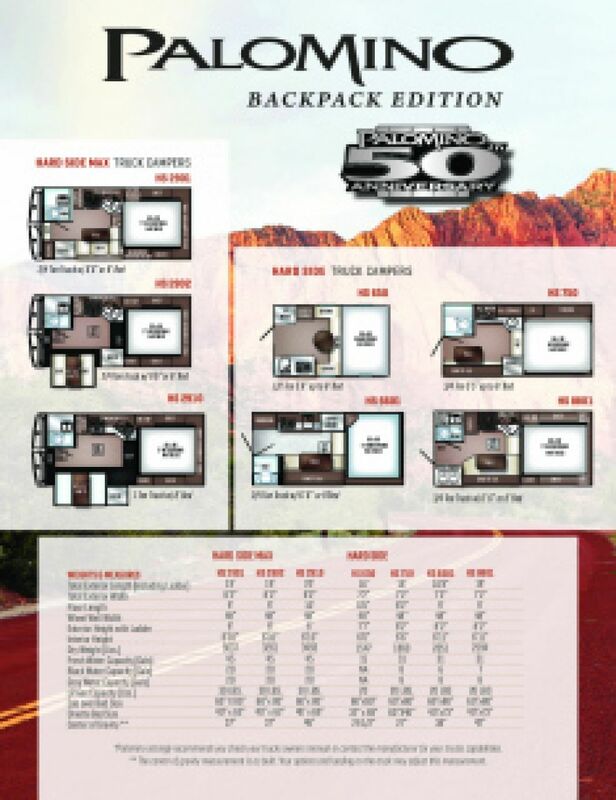 Explore the country with the incomparable 2019 Palomino Backpack Edition HS-8801! This Truck Camper is comfortable, reliable, and lovely! You can get it now for a super low price at RV World MI! We service RV enthusiasts in Michigan and beyond, with our 24/7 nationwide delivery service! Give us a call today at 616-591-3632 or stop by our lot at 7834 S Division Grand Rapids Michigan 49548! Step into the master bedroom to find the Queen bed. Fall right into it for a good night's sleep in comfort and privacy! 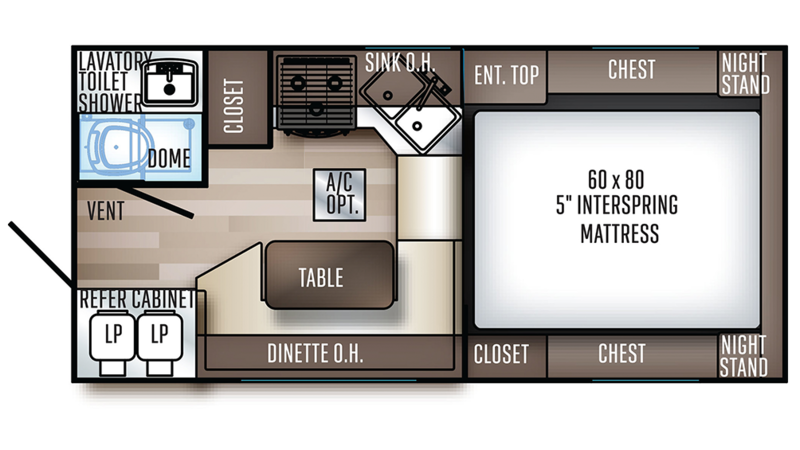 The bed isn't the only place where someone can drift off to sleep with ease, as this cozy RV has enough sleeping accommodations for up to 4 people! The beautiful master bathroom makes the Palomino Backpack Edition HS-8801 feel like a real home away from home! It has a roomy shower stall and a sleek, Cassette toilet! They'll save you that tedious trek through the campground to the often damp, cold, and crowded community bathroom! The big 31 gallon freshwater tank and 20 lbs. of LP tank capacity mean plenty of hot water for everyone! Used water from the sink and shower are dumped into the 8 gallon gray water tank, and waste from the Cassette toilet is moved discreetly into the 7 gallon black water tank.